Whilst my usual practice room is elsewhere in South Molton, I also work closely with Turning Point Clinic, 1 Oakland Place, South Molton, EX36 4AD. Tel 01769 574833. Turning Point Training offers a range of courses, mainly related to cranial sacral therapy. 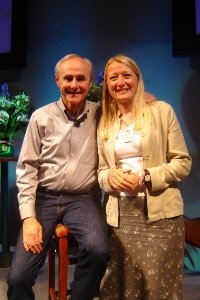 The Heart Centre is run by Val and Paul Lynch, authors of the popular Thorson's book, "emotional healing in minutes: simple acupressure techniques for your emotions". I'm grateful to them for writing this book, which was where I first discovered EFT, to Paul for the wonderful EFT sessions and to Val and Paul for their first class EFT training course. 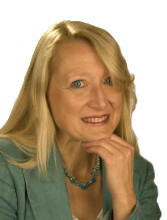 The Association for the Advancement of Meridian Energy Techniques has a worldwide membership of 1,000+ EFT Practitioners, Trainers and Masters and is growing daily. It was founded in 1999 as a group of people promoting EFT/Energy Psychology/Meridian Energy Techniques and in 2010 formally recognised as a registered voluntary organisation. It continues to promote the use of EFT and has established sound ethical and training standards for EFT. All EFT practitioners and trainers listed on the AAMET site have had their qualifications validated and have signed up to mandatory CPD and mentoring and to the AAMET Code of Conduct and Ethics, so this is a good place to search for a practitioner or trainer in your area. AAMET website also carries comprehensive listing of EFT-related events. Although links below will take you to Amazon, please also consider searching Cygnus Books. Cygnus publish a free monthly magazine, Cygnus Review, which is written with love to guide, uplift and inspire you. They select the best mind body spirit books and make them available to you at reduced prices, so you can feed your soul.... without burning a hole in your pocket! "The Healing Power of EFT and Energy Psychology", David Feinstein, Donna Eden and Gary Craig, Piatkus, 2006. An excellent comprehensive guide to EFT and Energy Psychology. A must-read for students of EFT. I'm sorry that the reading list is still under construction. Further titles and links will follow shortly. Please come back soon!